Now that you have adopted a little furry baby it is also your responsibility to make sure they have everything that they need. There are certain products, which if you have, life becomes easier for you and comfortable for your little pooch. So, without any wait let us learn about 10 such essential puppy products that you need to invest in right away. Though the very thought of a cage might not be liked by most puppy owners, it is more helpful than you may ever think. It helps your dog figure out his zone, and thus he will not be moving everywhere in your home and chew up on things. Also, it keeps your little furry friend safe when you may not be able to watch over them, for instance, when you are busy cooking in the kitchen. Just leave your pup in the cage with their chew toy and they will be busy and happy. Read also; 10 Things You Must Teach Your Puppy Before They Are A Year Old. Your puppy will need a bowl in which they can eat and a separate one which has a supply of fresh water throughout the day. So, you need to invest in at least two feeding bowls. You can buy small sized ones, to begin with, or may get bigger ones as your dog will anyway grow and then you will have to invest again. A dog can chew on plastic bowls easily so it will be wise to opt for aluminum or ceramic ones. 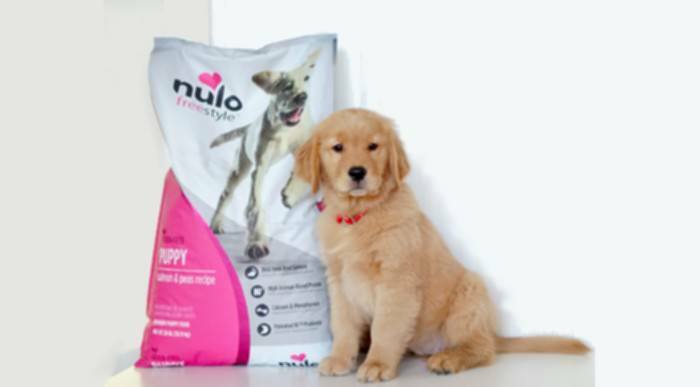 It is so important to make sure that your puppy’s nutritional requirements are met and this is why you must buy high-quality puppy food. Though you can also feed them home cooked puppy meals, it is yet good to buy the packaged food at least for emergencies when you may not have the time to cook a separate meal for them. Read also; Top 10 Puppy Behaviors & What They Mean. Once your puppy is about 4 to 5 months old you can buy him a leash. A leash helps you pull your puppy away if there is danger around. Also, you will need it when you take them out for walks. Make sure you train your puppy to walk on the leash right beside you always before you take them on the road for a stroll. Personalized ID tags are a must as it will help make sure your puppy finds their way back to you in case they go missing. Since your furry baby cannot communicate, the details provided in the tag (your name, address, phone number, etc.) helps anyone who finds them to contact you. There are many different styles of tags you can opt for, so choose the one you find the most attractive. When taking our pup out for a walk on a leash, rather than using a collar opt for a harness. Neck collars can cause a lot of strain on neck’s trachea and muscles, so avoid them if possible. You have many choices as far as harnesses are concerned, including face harness, chest harness, and body harness. Chest and body harness are more ideal for smaller dog breeds and puppies, and the face harnesses are good for the larger breeds. Puppies are teething, and to relieve the itching that is caused during this stage they need something to chew on. This is why you will see them chewing on everything they can find, your shoes, bag, clothes, and even your skin. To avoid all this from happening you need to provide them with at least a few chew toys. Every puppy loves treats and they are available in so many different flavors, shapes, and sizes. These treats can be used when training your puppy to follow commands or just when your puppy does something you like, and at times just to keep them busy. Make sure you get treats that are good for the young teeth of your puppy. See also; Top 10 Bad Dog Behaviors. Though you should not ideally bathe your puppy until they are 4 months old, yet, you should comb and brush their hair or fur every day. 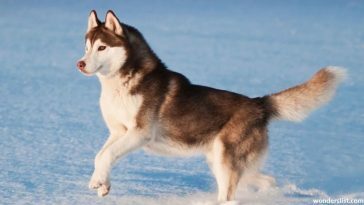 There are many different types of brushes and combs available and you need to select one keeping the coat type of your puppy in mind. Your little friend needs to have their own bed where they can get a comfortable sleep. If you browse the internet or visit your nearby pet shop you will be amazed at the many choices you have. You can get these beds in different sizes, shapes, colors, and different materials. Get the one that you find most attractive and also is comfortable. Each of the products mentioned in this list is a must-have for every puppy owner. It will be best to purchase these products before you bring your furry baby home so that they have everything that they need and are safe and happy always.